Those studying basic biological, chemical, and physical processes are quite accustomed to the marked periodic or aperiodic variations in certain variables important for system function and integrity (1,2). Like these phenomena, there are a variety of normal physiological processes that occur at regular, or almost regular, intervals. Abnormalities in many of these physiological rhythms are of major clinical importance. 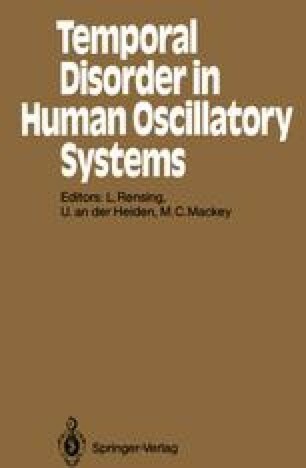 In addition, these oscillations demonstrate that there is a rich variety of dynamics that many physiological control systems can exhibit, ranging from rhythms with differing periodicities to irregular “noise-like” phenomena.